← EEK! Battling with the critters! With our boat haul date of October 16th quickly approaching, it was time to put all the home improvements on hold once more so we could take care of all the tasks that we needed to do in prep for the haul. The forecast for Thursday was sunny with temps in the low 60’s so we decided that we would head down to RI and stay overnight. 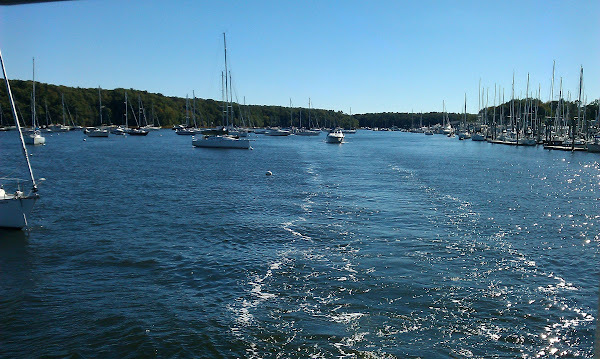 One of the bad things about not using the boat all summer is that the boat exterior was totally disgustingly filthy. The seagulls seem to love dropping crabs and quahogs on our hardtop in the hopes that the shells would break to expose the delectable morsels of meat. So the main deck was littered with the remnants of their meals in addition to a general coating of grunge. Totally gross! In fact, one of the club members who owns a boat across from us jokingly told us that our boat was bringing down the values in the neighborhood! So in addition to all the tasks that need to be done to winterize her, we needed to wash the decks and clean the bridge enclosure windows. The bridge enclosure panels are constructed of Stamoid® ( a multilayer marine grade vinyl) and the window parts are a heavy clear scratch resitant material branded Strataglass®. These needed to be cleaned because we take them down for the winter and they are stored flat on the berth in the aft cabin. Funny that we experienced our first and last trip of the year a week before our haul! Although our slip is right next to the pumpout station, when we are docked in our preferred orientation with our bow facing the yacht club, the pumpout hose doesn’t reach the deck fitting. So the first order of business on Thursday was to turn the boat around. 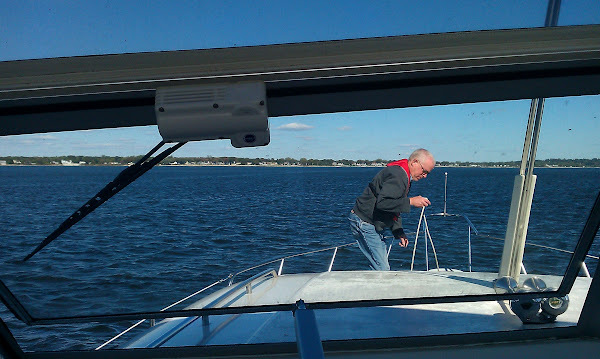 Our journey was all of 1/2 mile heading from East Greenwich cove out towards Narragansett Bay, just long enough so Rob could move the fenders and dock lines from the starboard (right) side to the port side. Another downside to not using the boat is that all sorts of critters (barnacles, limpets, etc.) take up residence on the hull and running gear. We knew that was the case because the boat was extremely sluggish. We had called a diver several weeks ago and he was supposed to clean the bottom but he didn’t do it. On Friday morning, Rob called him again and he promised to be there that afternoon. If the diver doesn’t do the job, we knew we would need to do it after the boat was out of the water – not a pleasant task at all. We had made plans to go out to a local restaurant, Retrovo’s, with Rob’s parents that evening. 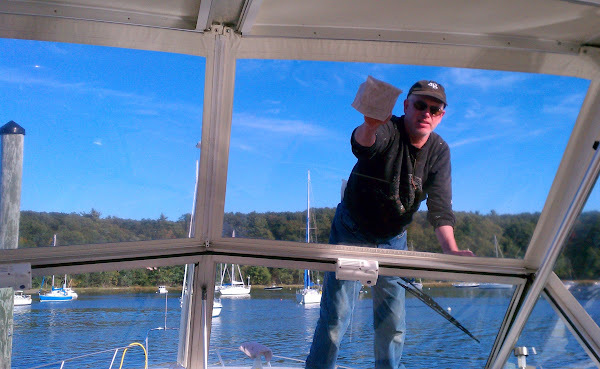 So once we returned to the dock, Rob barely had time to wash the windows on the outside in prep for my cleaning/polishing them with Imar Cleaner and Polish on Friday. We had a delicious dinner with Rob’s parents and then went back to their house afterward. 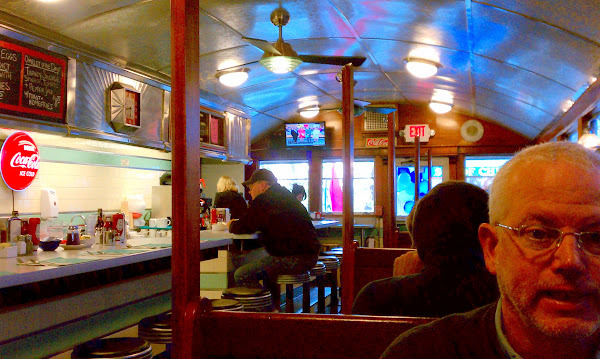 On Friday morning, we went to Jigger’s Diner on Main Street in East Greenwich. Having opened in 1917, Jiggers is a well known historic landmark but it had closed last year due to financial problems. It reopened under new management on October 1st. The new owners managed to retain the historic flavor of the diner while updating the interior decor giving it a more modern ambiance. One of the offerings that Jigger’s is well known for are their RI Johnny Cakes made from Kenyon’s Stone Ground White Corn Meal produced at Kenyon’s Grist Mill in West Kingston, RI. Luckily the new owners kept that very popular item on their menu. 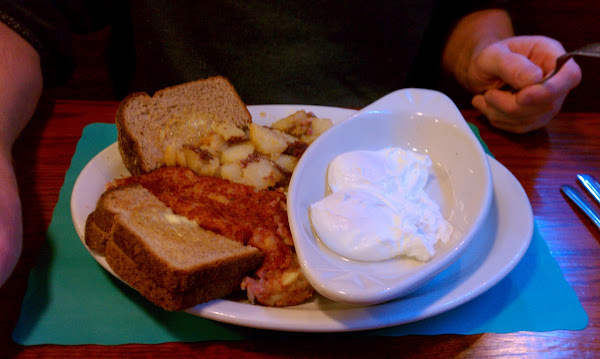 Since neither one of us are big pancake eaters, we didn’t have the johnny cakes – Rob had their home made corned beef hash and I had two eggs with bacon. It was very good! 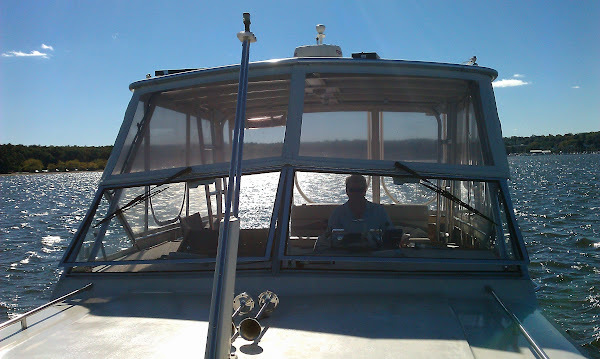 With our tummies full, it was back to the boat to do some work. 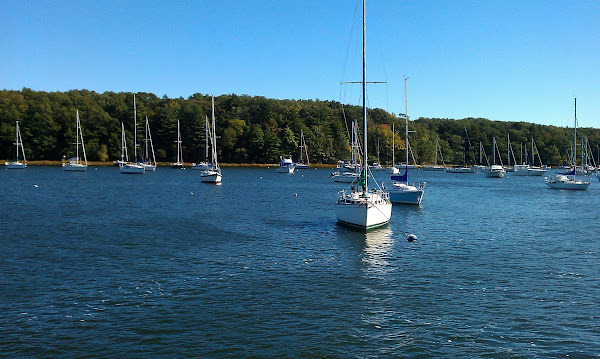 For those of you not familiar with the boating environment or with dealing with the cold, freezing temps of New England, all three engines (port, starboard and genset) and the water lines have to be winterized. So Rob’s first order of business was “pickling” the engines (another of his least favorite tasks). Pickling involves running a special mix of oil and stabilizer thru the fuel system (the main engines are fuel injected) while simultaneously running a non-toxic antifreeze thru the “raw” seawater part of the cooling system. The engines have a closed cooling system already filled with antifreeze just like a car, but instead of a radiator, a water cooled heat exchanger is utilized instead. Seawater is pumped thru the heat exchanger and other parts of the engine and then goes overboard along with the exhaust – this raw water system requires all the internal passages to be filled with antifreeze or serious engine damage could result. Each engine takes about 5 gallons. As you can see by the photo, Rob has to remove all the floor boards in the main cabin in order to get to the engines. His dream is to someday have a boat with a real engine room with near standing head room and a dedicated access hatch. 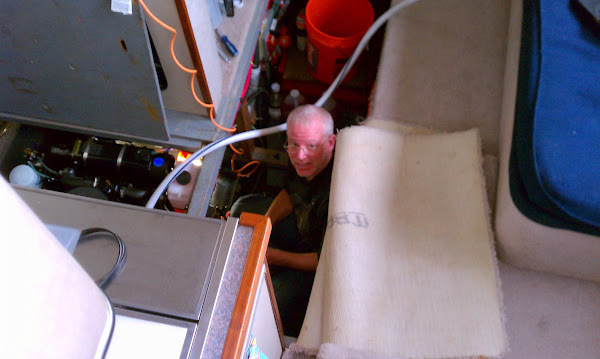 By the time Rob finished with the engines, he pumped out our holding tank and did a few other tasks but by now it was too late to start any other projects so we decided that we would head home and return on Saturday. On Friday night, most of New England was under a Freeze Watch until Saturday morning with temps forecast to be in the mid-20’s. Jeesh, isn’t it a little too early for this? Saturday morning, it was 25 degrees when we got up. Brrrr! Our trip south can’t come soon enough! Despite the cold, we headed to East Greenwich, arriving there around 10:30 a.m. We weren’t too worried about the cold since it was going to be sunny which would generate a lot of solar energy inside the enclosure. 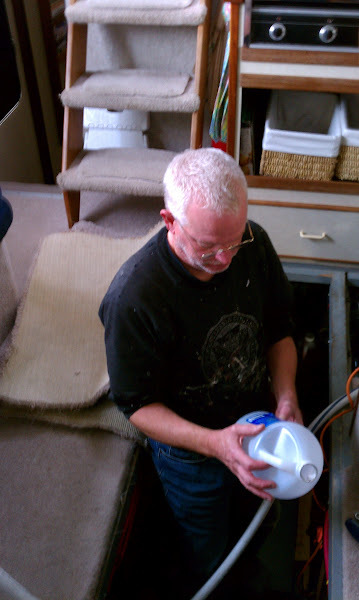 Saturday’s order of business was to winterize the fresh water system, pack up anything that would freeze so it could be stored in our basement for the winter, clean the two front windows that I couldn’t reach, move the dinghy to the yacht club’s garage and wash the decks. Since it was so sunny, it was fairly warm inside the enclosure and down below. It was a busy day to say the least! I think we finally finished and headed home around 6 p.m. But Quantum Leap looks all nice and clean now and is ready to be hauled. We’ve been told by the Club Steward that the boat movers will be there around 7:30 a.m. and that we are first on the list so we’ll need to be there by 7:00 a.m. at the latest to get the lines ready. Guess we’ll be watching the sunrise (provided Monday night’s rain has cleared out) from the boat. Stay tuned to our next post about our actual haul! Hope the haul out went well. Your many tasks of getting her ready surely paid off. She is a beauty! On our next visit, we must go to Jigger’s Diner. You just take care of my boat !!! 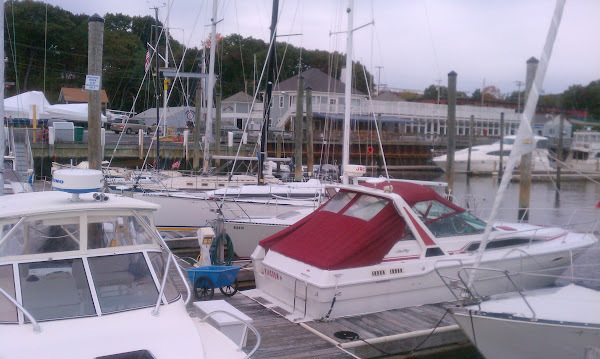 Wow…winterizing a boat is a lot of work. It must have been sad to have to winterize when you didn’t really get to use it this summer. However, better days are ahead when the work at the house is done. 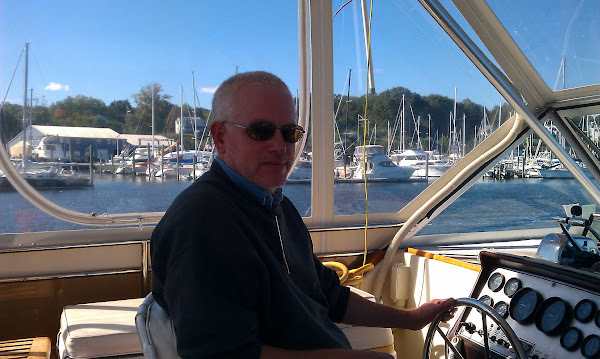 Maybe you could have done a catch and released of the mice from the motor-home, for a few days on the water to dine on crabs and quahogs before their demise…Maybe the seagulls like mice? It must have been hard to just do a short 1/2 mile turn-around. Ann & I hope to see her next summer. Whew!!! What a task! Our tri-toon is bad enough to clean; can’t imagine doing all that. Tim and I are getting ready to do the RV for our winter trip to Williston, FL, heading down on Dec.2nd. Hope to see you there! !